On June 11, 1993, director Steven Spielberg’s blockbuster film Jurassic Park was released in US theaters. To celebrate the anniversary of this film, we have a guest post from one of biggest self-proclaimed geeks in the personal finance blogosphere, Michael Dinich. Without further ado, here are some of Michael’s favorite financial lessons from the franchise. It’s been 25 years since Jurassic Park hit the theaters. 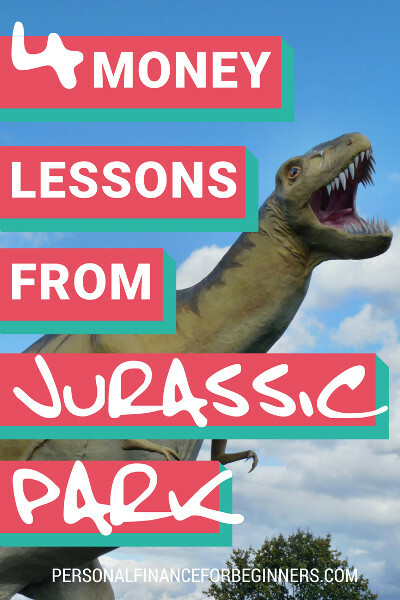 With a new installment around the corner, it seemed like an ideal time to review our favorite dinosaur theme park mash-up. Let’s review the franchise and see what financial lessons the series offers us in making sure our money doesn’t face an early extinction. Yes, learning about money for adults can be fun, too! Hubris is a common theme in most science fiction and Jurassic Park was no exception. What is often harder to see is the fault in our own moments of overconfidence. A little bit of worrying is a good thing… it causes us to question what could go wrong. In many cases, the biggest destroyer of wealth is overconfidence – those people who are convinced they will never have a problem. These same people get hit the hardest when a problem does happen. Any of these hardships can be a big damper on your plans to build generational wealth. While it would be impossible to plan for every possible thing that could go wrong, it is prudent to have a financial disaster plan in place to protect yourself from some of the more common scenarios. Sure, you can probably ditch the t-rex insurance. However, you should use your free credit check regularly to catch fraud and correct inaccuracies. If you have a side hustle, small business, or rentals, talk to a professional such as a lawyer about asset protection such as an LLC. Consider having your taxes prepared by a professional and purchase audit protection insurance on your returns. Encourage your friends and family to develop financial preparedness plans for themselves, so their emergency doesn’t end up becoming yours. In the sequel Jurassic Park: Lost World, they tried to reproduce the park in San Diego, and of course, this time they expected the outcome would be different. As a consumer of science fiction, it can be maddening to see people make the same mistakes repeatedly. Sometimes it even seems a bit preposterous. Critics faulted the plot of The Force Awakens for its use of what amounted to essentially another Death Star. It seemed like lazy script writing until you really consider human behavior. Does it really seem that farfetched that a giant quasi-government organization would repeatedly try the same failed tactic? I remember back in 1999 and 2000, some publications such as the Wall Street Journal were starting to run articles by economists questioning stock valuations. They suggested the markets were overvalued. The prevailing counterpoint was technology was going to usher in a new level of productivity that would rapidly accelerate earnings and justify rich valuations. The technology changed our lives, but the fundamentals of investing remained the same. The result was the infamous dot-com crash shortly thereafter. Talk about a financial crisis! I am not sure what is going to happen tomorrow, next week, or even next year in the markets. All I can say if someone tries to tell you “this time, it’s different,” keep an eye on your wallet and eye out for a T-Rex. A perennial plot point in science fiction is children wandering due to a lack of supervision. In Jurassic World, Zach and Gray take the motorized hamster ball off the main course and off-road into the wrong neighborhood. Who would have thought you couldn’t trust pre-teens with a fancy all-terrain vehicle? When it comes to money, parents often don’t fare much better. No one likes to think about estate planning; however, it is an unfortunate reality that we must plan of our passing. Even modest estates can add up quickly to a few hundred thousand dollars after you add in the value of properties, financial assets, life insurance, personal belongings, etc. 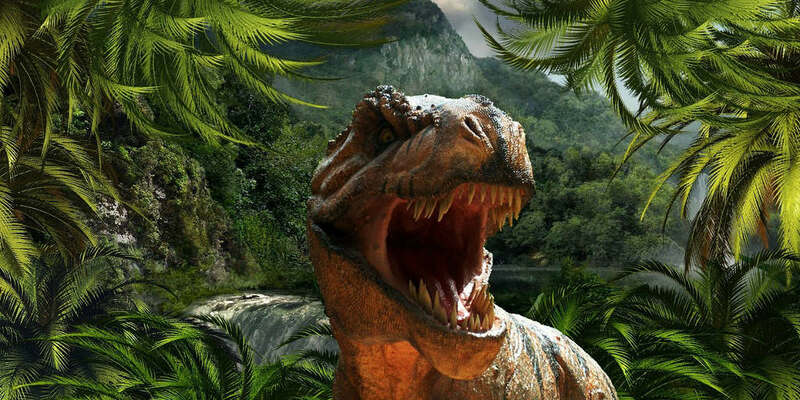 You better believe there will be people lining up to take some dinosaur-sized bites out of the estate: probate, taxes, in-laws, outlaws, ex-spouses. If all of that isn’t bad enough, you have the children themselves. If you can’t trust preteens with an all-terrain vehicle, do you think leaving an 18-year-old 100K is a good idea? Might that money do more hard than good? Meet with competent professionals and set up appropriate estate planning documents and review those documents yearly to ensure they reflect your current wishes. Tip: Do not leave all your assets to one child and expect them to divvy the assets up according to your wishes. This is inviting a disaster. The Jurassic Movies could be seen as an allegory for greed. Business heads bend the laws of ethics and science in pursuit of profit. In the original movie the character, Dennis Nedry, who I always want to call Newman, double crosses the park due to financial problems. In Jurassic World, when the hybrid dinosaur escapes, management declined to issue an evacuation order early on that would have saved the lives of countless visitors. Years ago, it was common for companies to offer a benefits package that would include a pension, employee stock ownership, or profit sharing. Over the years, employers have moved away from offering defined benefits and began putting the onus of saving for retirement on the shoulders of the worker. As more and more corporations look at employment benefits as an expendable line item, it’s important that workers begin taking responsibility for themselves. It is imperative that workers develop an emergency fund, create a budget, and start saving for retirement as early as possible. You often hear about diversifying your assets, but what diversify your income? Consider a side hustle for some extra cash, investing in rentals, or even starting a small business. The best way to prepare for the curve balls life may throw at you is to plan ahead while times are good. A special thanks to Aaron for allowing me the opportunity to share my two passions: personal finance and science fiction. If you consider yourself a sci-fi geek, you may also enjoy Michael’s collection of financial advice from Grand Admiral Thawn!